Our permanent exhibit celebrates the lives and contributions of Oregon's Nikkei community and evokes memories of shared experiences - from early settlement through the unique challenges of World War II and into the 21st century. Please join us at the Legacy Center for this unique and educational glimpse of Japanese American life in Oregon. 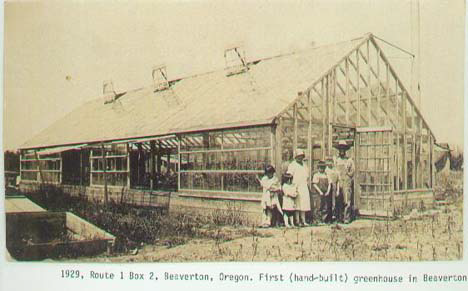 Photo: The Hayashi family greenhouse, courtesy of Toshiko Hayashi.